The Personal Drill Book Printer is a plug-in that harnesses one of the most powerful features of the Performer’s Practice Tools. 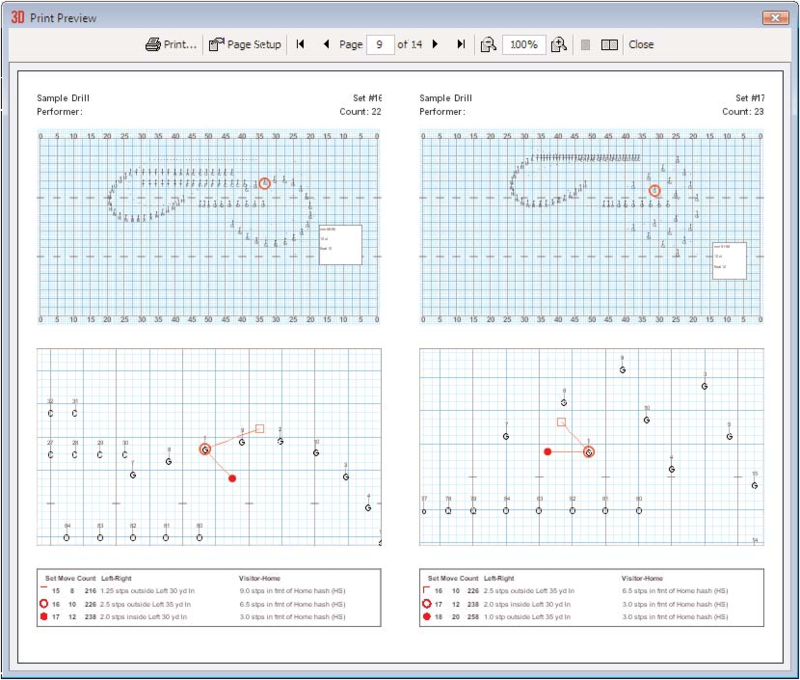 This plug-in allows you to print customized drill books for each performer that contain drill charts, set by set pathways, and coordinate sheets. Before printing drill books it is suggested that you label and name all performers (in the Cast List) for this tool to be most effective. 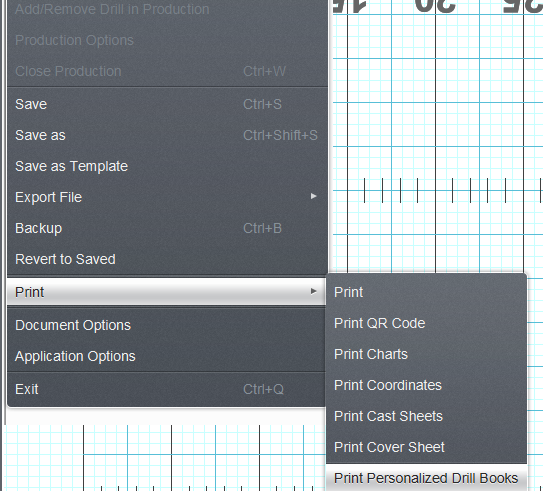 To print a Personalized Drill Book select Print Personalized Drill Books from the File menu. This will open the Print options for the Personalized Drill Books. Print props images will print props when enabled. If the option is not checked, only the prop boundary will appear. Print only selected positions only prints drill books for performers that you currently have selected in the drill. Use any Selection tool to select the performers. Zoom top chart for largest printout when enabled will zoom the top chart view point to the largest possible. Include Drill Book Cover includes a cover for the drill book pages to be inserted into. Include all drills of this production includes all drills that are part of the current open production. Print all performers black prints all performers black instead of the color set in the label editor. Print all symbols as Dots changes every performer’s symbol in the drill to a dot. Print each performer’s label prints each performer’s label that is set in the label editor tool. Print text boxes prints all the text boxes that have been entered on each page. Print Facing prints the facing direction for each performer. Print only one chart per page will print one set (chart) per page. Overlay set: (Previous) (Next) prints the secondary positions as dots from either the previous or the next drill set. Force Textbox Font Size will set a standard text size in text boxes (if included). Print Notes enables the option for including space for notes (blank space to be written in by the performer or notes from the Production Sheet) on each chart. Enabling this option removes the ensemble chart printout, leaving only the zoomed in chart printout. Blank Notes leaves a lined section for the performer to write in notes manually on each page. Print text from Production Sheet Note will include the notes from whichever notes columns of the Production Sheet are selected below. Grid Layout Menu allows you to quickly switch between grids when printing. This is helpful if you have different grids for designing and printing. Sort Performers allows you to sort the drill books in order of Original Entry, Name, Symbol & Label, or Label & Symbol. Save as Default saves the preferences that you select as the default settings for Drill Book printouts. Print/Preview opens the Print Preview screen that is seen on the next page. Close closes the Print Drill Book dialog. The print preview screen is accessed by clicking the Print/Preview button in the Print Drill Book dialog. All drill charts printed on the drill book are in the student perspective.